What’s More Pro-Life Than Killing Women, Right? WATCH: Anti-Choice Extremist Thinks BC ‘Kills Children’ – Stupid F*ckery Or Alternative Fact? 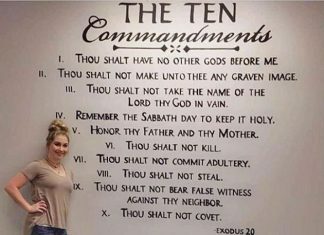 For The Bajillionth Time… The Ten Commandments Don’t Belong On Government Property!